Whether you are an owner considering whether or not you should sell your small business or an individual thinking about buying a business that is on the market, it is important to determine how much the business is worth. This can be a daunting task. Every business is different and for that reason no single method can be used in every case. 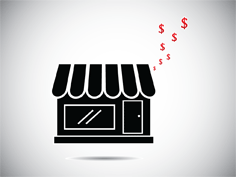 Below are the most common methods used to determine the approximate value of a small business. The assets a business holds can be used to determine its approximate value. Generally, a business is worth at least as much as its holdings, so looking to tangible and intangible assets can provide a baseline amount. If you choose to use this method, the business’ balance sheet should provide all of the information you need. This method may be too simple to be used for all businesses, especially those that are doing well and generating a lot of profits. Another way to determine a business’ worth is to look at its revenue. Of course, revenue is not profit a business makes. When using this method, a multiplier is applied to the revenue amount to determine the business value. The multiplier used is dependent upon the industry in which the business is operating. Another method is to apply a multiplier to the business’ earnings or profits, instead of total revenue. This is usually a more accurate way of determining what the business value actually is. When using these methods, it is important to understand that the market is constantly fluctuating. The value of assets can go up or down depending on the day, and revenue and earnings can change drastically from year to year. Also, when trying to determine what a business is worth, you might consider what the business may be worth if it had better management or more optimal business execution. The current managers may not be taking advantage of various opportunities to make the business more profitable. Before entering into any purchase or sale agreements, it’s essential that you consult a qualified business law attorney and a business appraiser who can assist in the valuation of a small business and help you understand whether it makes sense to proceed with the transaction.